Blue Scientific is the official Nordic distributor for Bruker TXRF in the Nordic region (Norway, Sweden, Denmark, Finland, Iceland). For more information or quotes, please get in touch. This ensures the cells stay healthy and delivers the maximum yield of biopharmaceutical product. 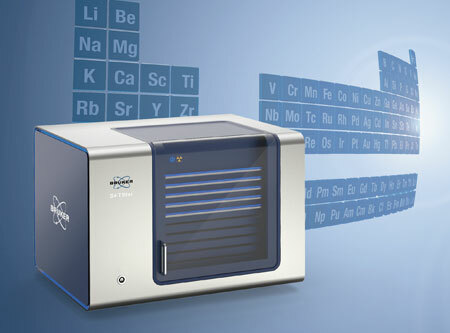 Using the Bruker S4 TStar, this technique can be used in production, research and quality control to measure nutrient elements and identify contaminants. High performance media samples were prepared for the growth of mammalian cell cultures and analysed using the S4 TStar. The mixture was homogenised and 10 µl was transferred onto a quartz disc. The samples were then dried on a heating plate at 30°C. The samples were measured with the Bruker S4 TStar benchtop TXRF spectrometer. Mo-K excitation was used at 17.5 keV and W-L excitation at 8.4 keV. The measurement time was 1000 seconds. If higher throughput is required, this can be reduced significantly. Concentration of micro-nutrients and contaminants in various high performance cell culture media. The chart below shows the limits of detection for nutrient and trace elements in two different cell culture media (CHO and feed) and the two excitation modes (Mo-K and W-L). HP-CCM contains a high level of sugars – about 8 g/l in the CHO medium. Despite this, by preparing the samples with ethanol, low detection limits down to 1.5 ppb were achieved for CHO and Mo-K excitation. Even feed media with 20 g/l glucose could be analysed down to 7 ppb. As you can see in the chart below, the common X-ray tube with Mo target is best for detecting elements in the Mn to Y range. W-L radiation is more suitable for light elements. Using W-L excitation improved the detection limits for the Mg to Cr range by a factor of 2 or more.